In this video, licensed acupuncturist Zen Tuan demonstrates a quick digestive health exam we perform here at Healing with Zen to evaluate our patients overall digestive health. This is just one of many exams we perform to evaluate and assess your digestive health. As any doctor will tell you, problems in digestion can lead to a host of other troubles if left untreated, from the uncomfortable to the downright dangerous. That second lunchtime burrito ruining your day right now might, in fact, point to a bigger problem such as Gastro-Esophogeal Reflux Disease, gallstones, Celiac disease or diverticulitis. In Chinese medicine, the stomach and spleen control many necessary bodily functions from clear thinking to sexual health. A clog in your gastrointestinal tract is bound to have an unpleasant outcome in another part of your life. Conversely, if you come in to your acupuncturist for treatment of muscles that stay sore too long after a workout, bloating, low energy and bad skin, chances are your practitioner will know right where to look. For all of these reasons, it’s best to keep things under control from the start. Eating a diet high in fruits, vegetables and lean proteins is always a good place to start, but if you absolutely must have that extra grande foo foo latte with a slice of death-by-chocolate cake for lunch (because you’re short on time, of course), then Enzycore is the supplement for you. Specifically created to keep things moving smoothly, as well as extract as many nutrients as possible, this is the one product you should probably keep in your desk drawer at work. Zypan is one of those supplements that can help almost everyone no matter your level of health. For those with acid reflux, the enzymes in Zypan can balance your stomach’s hydrochloric acid levels. For those working their way to peak fitness, the ingredients in Zypan can help capture nutrients that can only be absorbed when attached to a fatty acid chain. Reach for a Zypan and skip the cheese. Nothing puts stress on your gallbladder and liver like the modern American diet. Added chemicals, hidden sweeteners in almost everything, and high levels of fat in even the most innocuous foods can all lead to gallstones and fatty liver syndrome – especially in women. AF Betafood assists the body in breaking down minerals and fats into smaller, more easily digested particles, freeing up your liver to do its more important job: Clearing toxins out of your body. If that wasn’t enough, it also gives you a good kick of antioxidants and vitamin C to keep your immune system fighting. 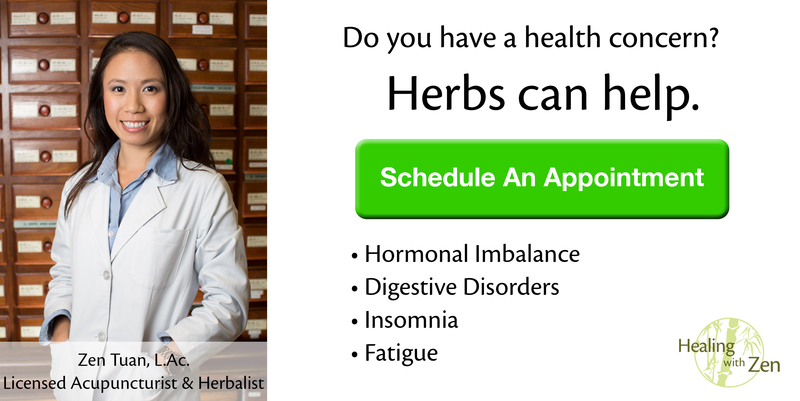 Custom Herbal Formula- tailored to your personal digestive needs. Not every supplement will be the perfect fit for everybody, so a custom herbal formula based on your individual needs may be just the thing for you. Perhaps you’re trying to get ahead of your weight, but you also have secondary issues such as thinning hair or arthritis. Perhaps you’re trying to start a family. Healing with Zen will be able to discuss your needs and dietary or physical requirements, then put together the perfect combination for you – for this week, this month, or for your long-term goals. If you are interested in a consultation and a health plan to help your digestive issues, please give us a call at (626) 377-9596, send an email to info@healingwithzen.com or book your appointment online by clicking here!